A cat a day keeps the doctor away! 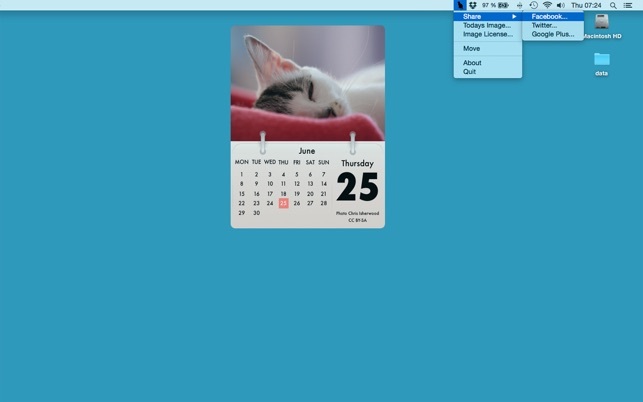 Cal Cat is a desktop-integrated calendar giving you a super cute cat, or kitten each day. 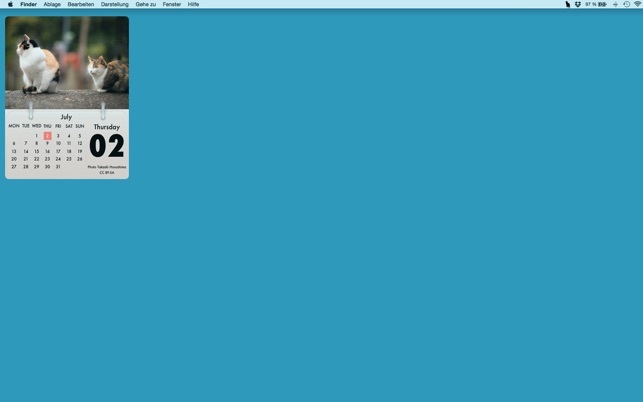 We hand-picked all those dolls, to bring you the best ever cat experience right to your Mac desktop. Impress your friends and followers by sharing your favorite picture on Facebook, Google+ or Twitter. And the best thing: each photo is licensed under the creative commons license and can be reused by you - even for commercial projects! 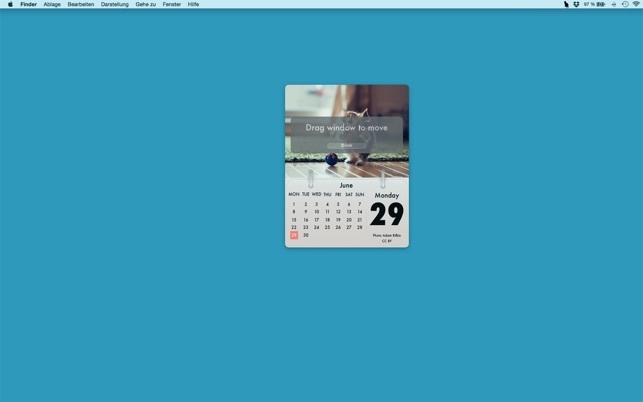 Did I mention already, that it also is an awesome one-look calendar? No? Well, it is! So what are you waiting for? Click away! The latest version fixes a display bug. 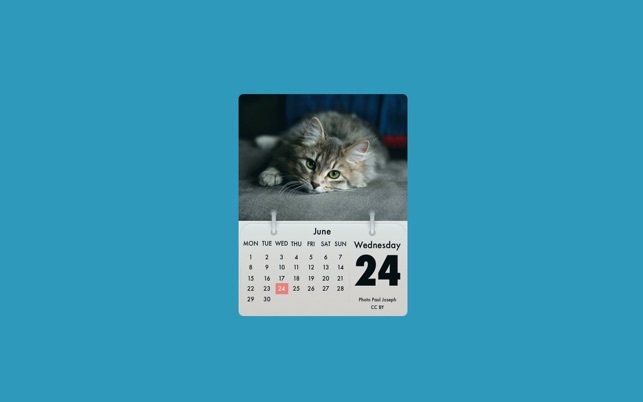 Adds an adorable calendar of really cute cats. Pretty simple and fun! You like cats? You like calendars? Well, duh - download this.